Summary: This post gives thoughts and suggestions on how to pick the right early retirement health insurance. Religion and politics. Two things you’re not supposed to discuss in public. On this blog I try to avoid these like the plague because, in the end, I don’t think anyone cares what I think on either topic. I will attempt to write in as unbiased a fashion as possible to keep us all from debating the two topics and instead focusing on the issue: getting decent health insurance in early retirement without breaking the bank. So let’s try to keep the politics and religion comments to a minimum. With that said, here’s our story. With my retirement in August 2016, we had to find affordable health care for our family (me, wife, and two kids, 20 and 18). My wife deals with all things medical in our family, so she set out to investigate the options. She started by identifying the choices, like we would with any purchase. She did web research, looked at reviews, and talked to several of our friends who buy their own medical insurance. I helped out by providing some insights from money bloggers who have found their own health insurance since they are self-employed (more on them later). If we had wanted to, we could have used COBRA and stayed with the health insurance from my company. I don’t remember the exact numbers, but that option was eliminated almost immediately. In fact, I remember that I almost needed to visit a doctor just looking at the monthly premium. We were trying to save our bodies with this process, not lose an arm and a leg in paying for it. Anyway, we decided to pass on COBRA. So the next logical stop was Healthcare.gov, right? We wanted to see just how great the “new” health insurance plan we’ve all been talking about for several years was doing. Whether or not you believe this statement, there is some truth to it. It wasn’t good news all the way around, but we lived through it. To me, the ACA has done some good things. It opened up health care options for the self-employed, allowed people to keep their kids on their coverage through (and even past) college, and allowed those with pre-existing conditions to get coverage. The one big con to us personally is, ironically, in the name. It’s nowhere near “affordable”. It’s like they tried to use 1984 Doublespeak on us — they called it affordable because it was not affordable. Sneaky. The government site offers what most would consider “traditional” health insurance options. With these you pay premiums monthly to an insurance company. When you go to a medical provider, you are responsible for the co-pays and the provider bills your insurance directly. You then receive a statement on what the insurance will pay. You are responsible to pay the provider for any deductibles and percentage amounts not covered. Traditional insurance has become much more complicated in recent years with many different plan options, health savings accounts, and trying to get patients more aware of the costs by offering discounts for shopping around. Generally, the lower your monthly premium, the higher your deductible. Before I get into specifics of what we were considering, let me say that looking at health insurance plans on the government site is exactly what you’d expect from the marriage of a complicated subject (health insurance) and the government (known to make even the simplest of tasks complex): a complete and complicated nightmare. There are endless options, asterisks, and exceptions that have to be considered and dealt with. What I summarize below are the KEY points but far from the entire story. There are details, details, details, that I had to leave out or this post would be 20,000 words. In addition, the specifics (like costs and coverages) seem to change day by day. We’d go one day and be quoted one price. Then another day we’d be quoted a completely different price. So the prices and coverages used below are what we experienced months ago. They will be in the ballpark to the costs today, but not exactly the same. A couple other considerations impacting our findings: 1) Our retirement income is in the $100k range. As such, we didn’t qualify for any reductions based on income and 2) all the rates below are NON-SMOKER rates. I’d hate to see what we’d pay if we smoked. Yikes! After doing a bit of research on the government site we found the “best option” for our family: the Kaiser Permanente Bronze Plan. Coverage: Preventative care — no charge; Primary care — First two office visits were $50 each plus the remainder of the cost if deductible wasn’t met, additional visits were covered at 50% once deductible was met; hospital visits were covered at 50% once the deductible was met. Other: No coverage in most cases if you needed medical attention in a state where Kaiser Permanente was not based (which is most states). In other words, get sick at home or be prepared to pay for it all on your own. The monthly premiums alone would cost us $13,909.56 annually. In addition, the first $6,500 is mostly paid by us. Yes, there are some freebies, but they are minor. So we’re out over $20k per year before the insurance really kicks in. So exactly what part of this plan is affordable? Even once the plan does kick in, it’s a 50/50 split between us and the insurance company until we hit the maximum out-of-pocket amount which for 2017 is $7,150 for an individual plan and $14,300 for a family plan. The only way this makes financial sense is if there’s a major medical issue. If one of the family members got really sick and had $500,000 in expenses, then we’d pay the maximum but the insurance would pay the rest. That said, how many years would we be paying $20k in coverage before we’d need this? So it was not acceptable to us. Then add in the “only good at home” issue and it became even worse. So we decided to keep looking. We wanted a plan that covered us in every state and found one from Blue Cross Blue Shield (BCBS). It was one of the least expensive options that was available in some form in every state. BCBS is comprised of 36 health insurance organizations which operate as licensees of the parent company. Most of these insurance companies are for-profit and some are publicly traded. BCBS is an administrator of Medicare in many states and provide coverage for state and government employees. Blue Cross was founded in 1929, Blue Shield was founded in 1939, they merged in 1982, and BCBC currently has 106 million members. Ok, so this one was even worse cost-wise. One of the options we discovered when asking friends where they got health insurance was health sharing. We’d heard little about it previously but started to dig into the details. Health share ministries are not insurance companies. They are groups of individuals who agree to share the cost of each other’s medical bills. These ministries are all non-profit. Each of the three ministries reviewed below require members to practice Christian standards according to Biblical principles and accept the beliefs stated in their guidelines. They all require their members to abstain from tobacco, illegal drugs, and the abuse of alcohol and legal/prescription drugs. None of these are issues for our family. There is a monthly share that each member is responsible to pay (similar to a premium). The Annual Household Portion (AHP) is comparable to the insurance deductible. This amount is met by the member before needs are shared with the group for reimbursement. All of the health share ministries have different pricing for singles, couples, and families (considered 3 or more sharing members related by marriage, birth, or adoption). There are three main health sharing organizations (as far as our research told us): Samaritan Ministries, Medi-Share, and Liberty HealthShare. These organizations began in the early to mid 1990’s, but their membership has increased significantly since the government mandated insurance. They are not health insurance in that they are not required to pay out on any expense like an insurance company is. That said, none of the ones we investigated has ever not been able to pay. Many of them will call themselves “ministries”, not insurance. While not insurance, health shares do meet the standard under the ACA for having health insurance. In other words, no government penalty for going this route. These plans can be significantly less expensive than the “affordable” traditional insurance plans. More on this in a minute. They often require agreement to some set of “healthy living” guidelines as noted above. Many also do not fund procedures that they find morally objectionable. So with these in mind, we began to contact each one to see what they had to offer. My wife did the initial research in August 2016, but to make this post more up-to-date I had her go back and compile the details. Here are the key stats for each as of April 2017. Samaritan Ministries was established in 1994 and has 225,000 members. Its model is, by far, the simplest of the health share ministries. There is only one plan that covers medical needs from $300 to $250,000. An optional Save to Share plan then covers medical costs above $250,000. Members pay medical providers directly so most offices will give a discount for not having to file the bill and deal with insurance. If the member documents negotiating a discount, the savings earned apply toward the $300 per incident cost. In other words, let’s say we went in for a $500 retail priced procedure. Because we offered to pay in cash and/or because we asked for a discount we might have to pay $300. The $200 we saved counts towards our $300 deductible. New members pay the first two monthly shares (deductibles) to the administrative office then the remaining monthly shares directly to other members. (Note: some people may find this strange — sending checks to people instead of a company/organization.) Members receive a monthly newsletter with information on who and where to send the monthly share (12 checks in a year). Many of these guidelines (as well as the ones for the other health share ministries) help ensure that people are taking reasonably good care of themselves, which I support 100%. Medi-share was established in 1993 and has 250,000 members. It has the most complex pricing structure of the three health shares. The monthly share rates depend on the age of the oldest person applying. Medi-share offers six choices, with the monthly shares decreasing as the AHP increases. (There is a seventh choice for individuals 18 to 29). They also offer a healthy monthly share 20% discount for members who meet their “health incentive standards, which are determined based on waist measurement, BMI and blood pressure”. Conversely, there is an extra $80 per month fee for the healthy partner program for those with high cholesterol, excess weight, or diabetes. Members pay the monthly share directly to Medi-Share which goes into their individual account. When they go to a medical provider, members pay the office co-pay and then give their Medi-Share card to the provider who bills Medi-Share. Medi-Share negotiates a discount and then sends the discounted bill to the members to pay the provider directly until their AHP is met. Once the AHP is met, the need will be eligible for sharing among other members and Medi-Share will pay the provider from the various members’ accounts. If you’re interested in more specifics, here’s a video on how Medi-Share works. Medi-Share also offers other programs such as Disability Sharing, Senior Assist to share expenses beyond Medicare, and Group Sharing for Christian employers or churches. Medi-Share also has limitations on who can become members. For details see their Member Qualifications section of their ministry guidelines. Liberty HealthShare was established in 1995 and has 130,000 members. It is the smallest of the health share ministries, but like the others, is growing. Liberty offers three program options: Liberty Complete where members share 100% of eligible medical bills up to $1,000,000 per incident; Liberty Plus where members share 100% of eligible medical bills us to $125,000 per incident; and Liberty Share where members share 70% of medical bills up to $125,000 per incident. The figures below are from the Liberty Complete plan for a family (3 or more) with the oldest member between the ages of 30 and 65. Liberty HealthShare seems the most proactive of the three health shares with regards to living a healthy lifestyle. Instead of offering financial incentives and penalties like Medi-Share, Liberty offers its members free wellness visits and bloodwork annually. Members with conditions that can be improved by lifestyle choices like diabetes, high cholesterol, cessation of smoking, and others are required to join the Health Trac coaching program for an additional $80/month. Once they meet their goals, they “graduate” and no longer have to pay the additional fee. Unfortunately, if they don’t do what the coach recommends or fail to show any improvement in a year, their membership may be terminated. Liberty works likes Medi-Share in payment and processing. Members send their monthly shares to Liberty which goes into the members’ personal account. Members receive a card to give to the medical provider who then sends the bill to Liberty. Liberty will send the negotiated bill back to the member to pay the provider until the AHP (they call it the Annual Unshared Amount) is met. The big difference here is that members choose from a list of approved medical providers that have agreed to offer discounted rates for the members (similar to traditional HMO insurance). If you have a preferred physician, Liberty will work with them to become a participating provider, but there’s no guarantee that they’ll join. As with the others, they have a set of requirements to qualify. It’s a lot to consider, right? So many factors, so many options. To see what we decided, check out Picking the Right Early Retirement Insurance: Selecting a Winner. Ahhh the cliff hanger! I think you folks are going about it the right way. I recently wrote a couple posts on the matter and it is startling how poor the options are, let alone finding anything affordable. The one other option to consider is going with catastrophic care only which are non-qualified ACA plans, meaning you will have to pay the “tax” (penalty). Considering your taxable retirement income is $100K though, the tax may make it not worth it. Good thing you are retired in CO though instead of IA (your home state)…which has no plans left on the ACA exchanges! For early retirees, health shares can be a decent option although very out of the mainstream. I look forward to hearing your decision! Wow, a very comprehensive post. I dove into this research a little bit when I was considering quitting my job, but your analysis lays it out very nice. Thank You SOOOO much for this timely information. Thanks for listing all the options you looked at. I’m really curious which one you picked and your experience – particularly since you mention you have unexpectedly needed to use it. Healthcare is, hands down, our biggest barrier to early retirement. Now I have a preexisting condition, so we are limited by that. I’m not sure the health share plans would work for us for that reason (though if I don’t need ongoing treatment, maybe it would be an option?). I think it depends on the specific situation. It still might be worth a call. Thank you for outlining all of these options. I lack knowledge in this area, so it’s something I should do more research on myself. Me, my wife, and kid are all on my company health insurance which is through Kaiser. We may switch to Anthem Blue Cross though when open enrollment comes back around. Kaiser has been pretty good though. They’re very efficient and the customer service has been stellar; but I’m not sure how much of that is from the local Kaiser, or if it’s a structural thing that they have in place that’s so stream-lined. Wow. I’m going to bookmark this page. That’s a lot of work and a lot of options (and a lot of admin associated with each option). Remind me again why a single payer system is bad? I think your calculations on how much you would be out if someone had a catastrophic illness are off. When you hit the deductible is when the 50% (or whatever sharing %) kicks in. Once you hit the maximum out-of-pocket, you are covered 100%. At least that is how I am use to seeing medical plans. The Health Sharing plans will be less regardless. BTW, we picked Liberty because they allow for pre-existing conditions to be phased on. The other Health Sharing plans (at least in the past) did not cover pre-existing at all. BTW, we only put two of our adult children on the plan as they were not covered by our HMO style plan. Our premiums on the HMO style were still palatable, so we did not fully switch over. Although, I suspect we will at some point. Not so great now, looks like a big scary cluster hug ?. This is fantastic ESI!!! Thanks for sharing your research, I am sending this to Brad to read now. Very important information to collate like you are. I’m potentially a year or two away from early retirement, and healthcare is one of the largest unknowns. This post is pure gold. I appreciate seeing a list of options with real numbers along with a discussion of the decision making process. Wife & I are also in this process now. We are leaning towards Liberty ……. It will be interesting to see ur choice & rational. Ugh… you can see why people still work just to get benefits and pretty much nothing else. However as your dependents become independent things will change. Personally I would like to be on my sons insurance as it is better than what I currently have 🙂 I wonder how I can become his dependent? I have lost one dependent and hopefully within a year the other will be independent. Excellent analysis! Very clear and thorough. I’m missed ng something here– first of all you did not identify the legally required max OOP for the bronze plan which is simlar to the BCBS max OOP. And mischaracterizing them, the whole point of the insurance is lost. So you pay a low premium, say 12k a year, and cover expenses until a high deductible, say 6k is reached (whuch probably makes it a high deductible hsa eligible plan, a great Roth like saving tool we’ll save forcanother time). Then you pay 50% or 60% until you reach the 13k OOP. Then that’s it. The plan pays the next 485k of the 500k bill. How could you miss this? 1. $12k is a “low” premium? 2. Then I pay an extra $6k? Now we’re up to $18 k per year. 3. Then more till I hit the OOP. It’s still VERY expensive in all but the worst cases. That said, I will ammend the post to reflect the OOP, but it still doesn’t change my overall conclusion. So far, your analysis doesn’t consider your actual costs, which is a strong factor in determining whether you should really be afraid of regularly paying the OOP maximum. Your analysis of healthcare costs seems to be based on fear, uncertainty, and doubt. “The $10,345-per-person spending figure is an average; it doesn’t mean that every individual spends that much in the health care system. In fact, U.S. health care spending is wildly uneven. 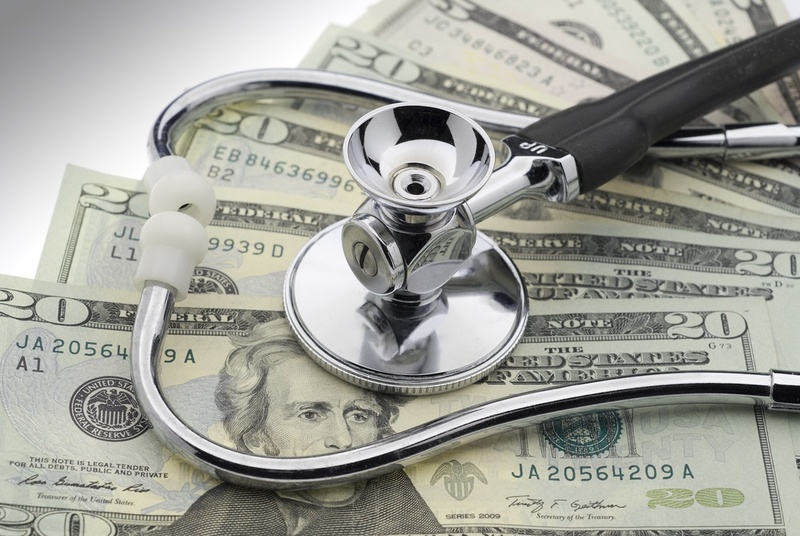 Your analysis begs the question of how much you should really worry about healthcare costs. How confident are you that you can keep yourself and your family healthier than average through diet, exercise, and low-cost preventive care? Does anyone in your family currently have high healthcare costs? Do you foresee any problems in the future, e.g. pre-diabetes or inherited health problems? Good points… But the whole purpose of “insurance” is FUD (fear, uncertainty, doubt). It’s to cover that unexpected event that would potentially sink your financial ship. Health insurance has over the years become the expected way to pay for health rather than it’s real purpose which is to spread the cost out over the population for catastrophic health issues. Thank you for posting this. I am a new follower to your blog 🙂 My husband & I run a small revenue cycle management (medical billing) company. There are so many variables when it comes to the mess health insurance is these days. Behind the scenes, you would be astounded. Anyways, about a year ago after going through the same process of shopping for health insurance for our family of 4, we found Liberty Healthshare. That one just worked the best for us. Another one we looked at was Altrua Healthshare. I would highly recommend the book, The Self-Pay Patient: Affordable Healthcare Choices in the Age Of Obamacare by Sean Parnell. Our market only has one insurance available on the Healthcare Exchange and it is a pretty crappy policy. The best one we could purchase will cost us close to $2000 with a family deductible of just over $10,000 ($5000 per individual). By the way, in most markets you cannot buy an individual policy that would ever be as good as an employer run policy. Many times, even though they carry the big name company, they opened new “products” that the providers are not in-network with. So you thought you could keep your Dr.! Fantastic post ESI, thank you! As you know healthcare coverage is indeed what keeps many people working and we fall into that group. Liberty HealthShare sure sounds interesting. Looking forward to the other parts of the series. Did you consider a small group plan? I know of one family, that even pre-ACA, got a small group plan that consisted only of their family of four. They put each adult separately and one kid with each adult. They ended up with two family deductibles but it was the only way for them to get insurance (self-employed) at affordable rates at the time. With two teenage/young adults, you could probably get some decent rates this way if they are in good health. We did not look into that option. Is that what you have? There is an affordable alternative when considering the ACA for your health insurance needs – with the primary goal (of course) of picking the right early retirement health insurance, one that is affordable. Assume that during your working career, you’ve followed all the rules of thumb, and you’re approaching early (pre-Medicare) retirement with a pretty good-sized nest egg made up of stocks, bonds, mutual funds, qualified accounts, non-qualified accounts, Roth IRAs, cash, etc…..and you (and your spouse) are feeling pretty good about retiring early. Following those rules of thumb that you always followed, of course you’re going to follow some basic tax-efficient withdrawal strategy. The goal being to minimize taxes as much as possible, so that you have as much use of your assets as possible – rather than handing your hard-earned savings over to the IRS. You know that you just have to afford health insurance until you reach Medicare age. Then, you find out that the health insurance provided by the Affordable Care Act (ACA) bases the premium subsidies using your Form 1040 modified adjusted gross income (MAGI). So, by following your already planned tax-efficient withdrawal strategy, not only are you keeping your hard-earned money for yourself (and away from the IRS), you’re also qualifying for some pretty significantly subsidized health insurance. And, you only need to do this until you both reach 65 years old, because then you qualify for Medicare when insurance is no longer that expensive (when compared to COBRA or shopping for unsubsidized insurance inside or outside the Marketplace). So, assume (hypothetically) that you’re pulling funds various accounts – but in a tax-efficient manner, such that you’re pulling in the $65K that you and your spouse need to live on, but the MAGI only shows as being about half that ($32K). In the zip code we live in, a 62y/o married couple, with a MAGI of $32K, non-smokers, would receive a subsidy of about $977.27/month (on a plan that would ordinarily cost $1,079.10/mo) – this is a Silver Plan, HMO, no charge for generic drugs, $15 to see a primary doctor, $30 to see a specialist, emergency room care has a 10% coinsurance after deductible, and it has cost sharing reduction benefits(!) – all that for a monthly subsidized premium of $101.83/mo, $2,200 family deductible, and a $4,000 family out of pocket maximum. Not bad for an ACA plan with all the minimum essential coverage and free preventative care benefits that all ACA plans have to have! Since it’s an HMO, the network is only good in the immediate area. However, if you’re traveling and have a medical emergency, it does cover out of town hospitals and urgent-care facilities for medically-necessary emergency events (but, make sure to call your primary care physician!). Anyway, that’s just my 2-cent contribution describing what can be done if health insurance is looked at as a continuation of one’s financial plan and not as a stand-alone event. But, with the ACA (possibly) going away in a few years, there aren’t too many more years to take advantage of this opportunity. However, with Medicare eligibility looming in just a few years, you don’t have too long to worry…….. This is an EXCELLENT comment! Thanks for leaving it. Not sure I can get my income that low with all the rental income we get, but it’s something I’ll be investigating. Then again, who knows if the ACA (or whatever the new program will be called) rules will change. Ugh! That’s true. Any revenue sources that you can’t “control” makes it more difficult, if not impossible to implement the scenario I proposed. In preparation for retirement, we offloaded the last of our rental property in 2003 (simply didn’t need that headache in retirement!). We both retired in 2010. So now, all of our assets are in various “buckets” from which we can control what our taxable income is, and as we approach various thresholds, we can adjust up, down, or simply withdraw cash. As long as we know what the rules are, we can adjust for most any scenario. The ACA being MAGI-based, works for this scenario. I know — boo-hoo for me! Ha! I am retiring January 2018 at 63 years old. Just started looking for health care alternatives and found your site. My wife died of cancer two months ago so I will be the only person on the plan. Finding health care is much more difficult than I thought it would be! There is a 4th non-profit, sharing ministry, worth looking into: Christian Healthcare Ministries (CHM) http://www.chministries.org. They hold an A+ BBB rating and currently have about 380,000 members. They offer 3 tiered plans: gold, silver, bronze. Most members choose the Gold plan that provides $125k coverage per illness, and with the Brothers Keeper option provides $1M/incident and unlimited catastrophic coverage per illness. The Gold plan, has a $500 deductible per incident per person. The Gold plan costs just a flat $150/month per ANY person and the Brothers Keeper option costs an additional $25/quarter, plus a $40 annual fee. This ministry is endorsed by Dave Ramsey. Most members understandably choose the Gold plan with the Brothers Keeper option. Although their plans do not cover many things like preventive care, annual physical exams, and doctor office visits for care under $500, the low costs justify this. They also partner with Carengton for dental, pharmacy, eye, hearing, and chiropractic. Do you use them yourself? Not yet, but I plan to go with them in 3-6 months when I semi-retire to provide healthcare coverage until I am eligble for Medicare. I’d love to hear your thoughts on them after you’ve used them. Personal experiences are the best reviews IMO. Thanks for this rundown. I took a mini-retirement recently and got a preview into the ridiculous complexities of choosing health insurance. Going from fully covered by employer (with a set number of options) to figuring it out on your own really is like walking off a cliff. Ultimately, I went with IMGlobal which is great for the semi-nomad – 6 months of full coverage in the US and discounts for any expenses outside of the US, at a pretty reasonable price. Thank you for the information. I am considering early retirement when I turn 62 in April. To stay home and take care of my mom who had a stroke. The healthcare options Are scaring me greatly. Any thoughts on the maximums? I know some are high, like $1 million. However, it is a concern that something bad may happen (ie cancer, serious injury, etc) that may require prolonged hospitalization or expensive drugs resulting in a bill exceeding this maximum? As far as I know, ACA plans have no maximum. That’s an issue to be considered, as are costs and the others noted. The fortunate thing is that if you have something terrible happen, you can purchase an ACA plan come open enrollment again as there are no pre-existing clauses at current.